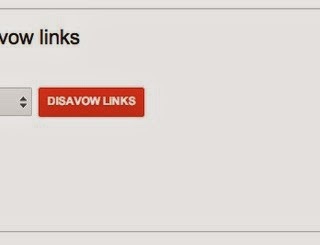 Google is not using data from its Disavow Links tool to hurt sites that are being disavowed in search results. That is according to Google’s John Mueller. We recently received a notice from Google stating that they have levied a penalty on our website as they “detected unnatural links” redirecting to our website. they have given me list of Links of my website with majority comments links . We would like to bring your notice that failure to remove these links would require us to file a “Disavow Links” report with Google. Once we submit this report to Google, they may “flag” your site as”spammy” or otherwise if anything is not in compliance with their guidelines. The last thing we want is to have another web master go through this grief! So no, Google will not “flag your site as spammy” if it’s disavowed. Maybe they are “pressuring the webmaster,” but still, Google has actually hinted in the past that data from the tool could become a ranking signal. In a discussion with Google’s head of web spam Matt Cutts back in 2012, Danny Sullivan asked if “someone decides to disavow links from good sites in perhaps an attempt to send signals to Google these are bad,” if Google is mining the data to better understand what the bad sites are. Like I said at the time, Google does have over 200 signals, but that doesn’t mean there isn’t room for the data to play some role in the algorithm, even if it’s not the weightiest signal. I don’t know how we’ll ever know if Google does decide to start using it. It’s not like Google is listing its algorithm changes every month or anything. It does sound like a pretty dumb strategy, and probably not the most effective way to hurt another site. On the other hand, people do dumb stuff all the time. But in a more natural sense, mightn’t this data say something about a site? If a lot of people are disavowing links from the same sites, doesn’t that say something? But if it were to become a signal it could be misleading at times when Google’s unnatural link warnings have so many people scrambling to get all kinds of links (including legitimate ones) removed. It certainly shouldn’t carry too much weight if it ever does make it into the algorithm. Either way, don’t worry about the tool sending any signals about your site for the time being. In related news, Cutts spoke about the tool at SMX West last week, where he said that if you’re aware of bad links to your site, you should probably go ahead and disavow them anyway, even if you’re not already penalized. He added on Twitter (when Rae Hoffman tweeted about it), that if it’s one or two links, it may not be a big deal, but the closer it gets to “lots,” the more worthwhile it may be.